The Somnowell Clear is one of the most affordable alternatives to the Somnowell Chrome. Its ideal for people who wish to trial a mandibular advancement device before committing to a Somnowell Chrome, it is a short term solution at a lower cost. 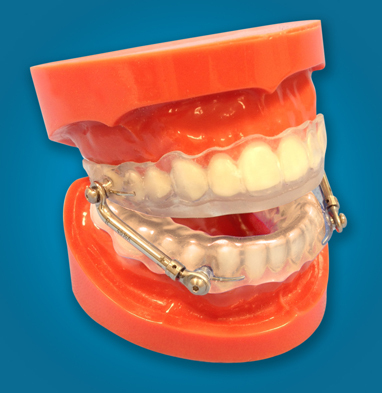 The Somnowell Clear enables you to see the effectiveness of a mandibular advancement device (MAD) for yourself. 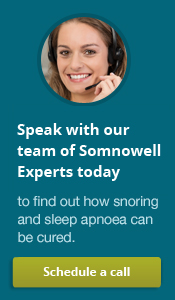 It will help you experience the life changing benefits that can occur when your snoring and sleep apnoea are controlled or managed. The Somnowell Clear is made to exacting standards in the Somnowell laboratory under the supervision of master Somnowell technicians. Master technicians will create your Somnowell Clear using their wealth of experience and expertise. The Somnowell clear is adapted to fit the shape of your teeth and gums.. 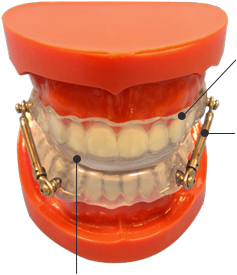 The Somnowell Clear is built on a simple hinge articulator to the bite supplied by the dentist. The master technicians are then able to balance the device to this postured bite position. The Somnowell Clear follows the same principles as the Somnowell Chrome. Your bite is carefuilly considered when building your device. The Somnowell Clear is created from high quality thermoplastic. 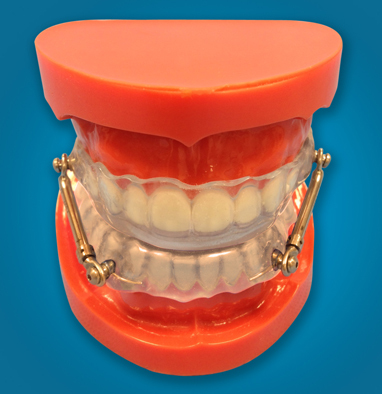 Each tray is created from a high quality thermoplastic to which is aded accrylic to aid bite balancing. The stainless steel jaw protrusion elements are located outside the dental arches. These protrusion devices can be fine tuned by the dentsit to meet the individual patients needs and adjusted to meet your unique and changing needs. The edges of each Somnowell Clear tray are designed to carefully fit your gums. 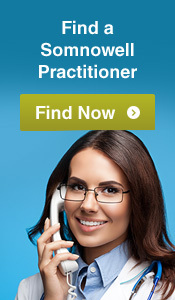 Your device will be comfortable, look great, and work more effectively for your gums. The Somnowell Clear is available in either a clear, blue, or pink lower tray. In addition to letting you customise your device, this will help you know which side is the top. The metal components only of the Somnowell Clear are warranted against manufacturing defects for 1 year from the date shown on the patient statement / delivery note. Device distortion, breakages or damage due to jaw parafunction, bruxism, wear and tear following use. A returned device which has altered in shape is confirmation of the presence of bruxism and/or jaw parafunction. The metal fixing parts, where these physically connect to the thermoplastic gum shields, often fail as a direct consequence of jaw parafunction and or bruxism. Such failures are not a defect in manufacture and are not covered by the Somnowell warranty. Unfortunately the forces involved with jaw parafunction and bruxism are greater than that which the device materials can withstand.